Vegetation of ultramafic (serpentine) soils. Proceeding of the first inter. conference on serpentine ecology (Univ. of California, Davis, 19-22.06.91 BAKER A.J.M. 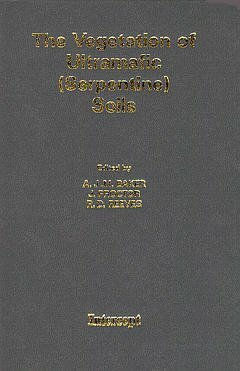 This book consists of the first comprehensive collection of papers summarizing present knowledge and current research on the plants that are found on serpentine soils. Contributions are truly international.